This week is World Glaucoma Week (March 12th-18th, 2017) and ec-europe would like to take this opportunity to make you aware of the importance of this disease. Glaucoma is a slow and progressive disease that affects the optic nerve , and which is often, but not always, associated to high intraocular pressure (IOP). It is the second leading cause of blindness in the world, after cataracts. Open-angle: the most common type. The drainage canals are not visibly blocked. Closed-angle: The drainage canals are visibly blocked. Primary: when the cause is unknown. Secondary: when it is caused by infection, inflammation, tumour or other conditions. Age: The prevalence of glaucoma increases with age. Race: prevalence is 3 times higher in dark-skinned races than in Caucasians. Family history: Having close relatives with glaucoma increases your relative risk. Other factors such as hypertension or diabetes are also associated to an increased risk of developing glaucoma. 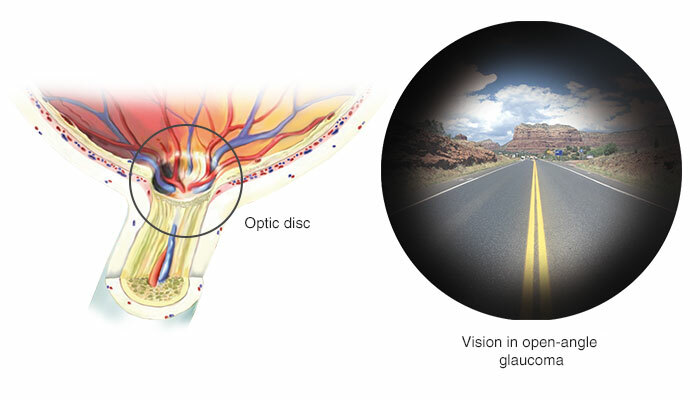 Glaucoma is usually asymptomatic, although the patient may notice a loss of vision that initially affects the periphery of the visual field with retention of central vision, known as “tunnel vision“. Visual field loss cannot be recovered once it has occurred. 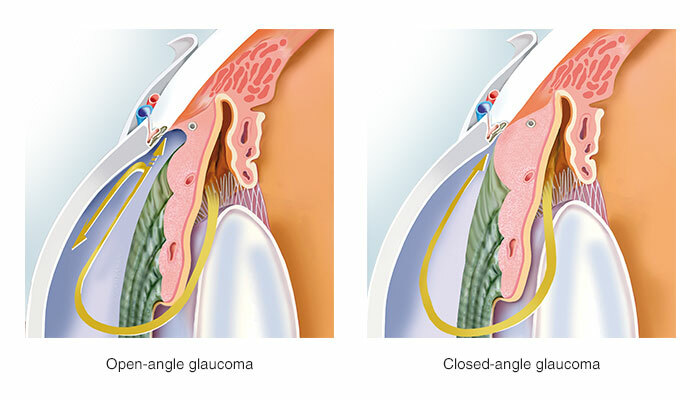 Glaucoma may be diagnosed after serious and irreversible damage has occurred. Therefore, early detection of this disease is very important. All those at high risk of developing glaucoma, should undergo an eye examination every 1-2 years. Ophthalmoscopy: to examine the optic nerve and identify damage, if any. 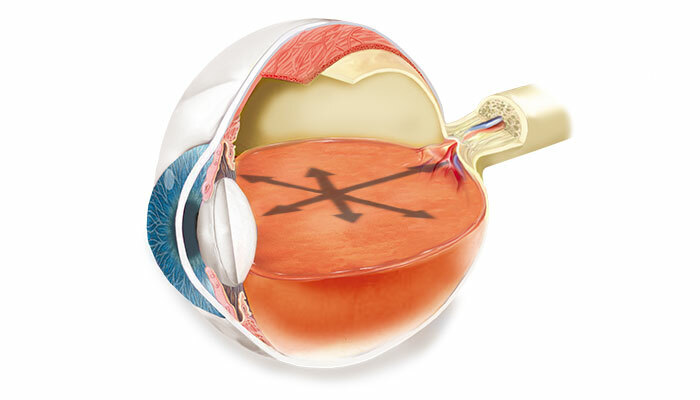 Treatment of glaucoma depends on the severity as well as response to treatment. It aims to reduce intraocular pressure, prevent vision loss and further optic nerve damage. The most common way to treat glaucoma is with eye drops. 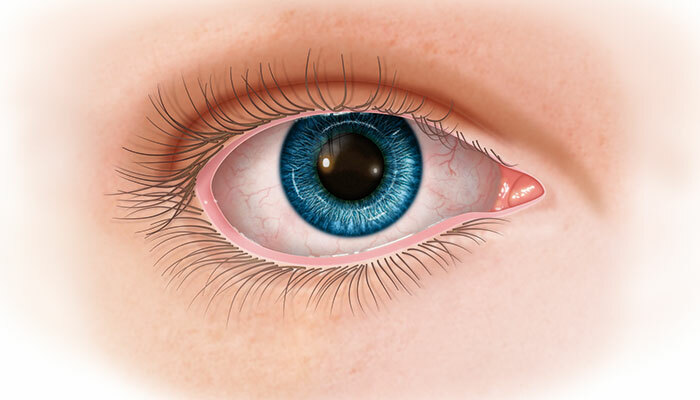 Some patients are advised to have laser therapy (trabeculoplasty) or surgery to improve eye drainage.